This morning the web media team had the opportunity to show Gurudev something they had been preparing. 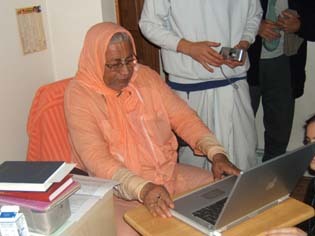 Jamuna Priya dd loaded the new California web-site onto His Divine Grace's computer so that he could get a preview. The few devotees present watched his facial expressions and told him about the different links. He didn't make any comments but seemed to be enjoying looking at the pictures of the devotees. 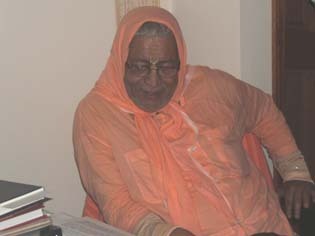 This web-site has been created for the pleasure of our dear Gurudev and the devotees world wide. 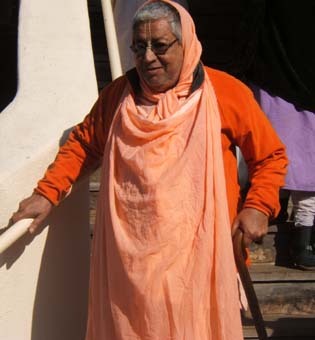 Our thanks to all of the participating devotees.